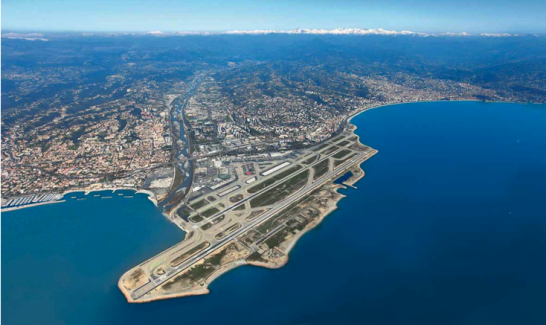 On January 1, 2012, 46 townships came together to form the Métropole Nice Côte d’Azur, representing a territory of approximately 1,400 km² with 545 00 inhabitants, situated at the heart of the Euro-Mediterranean arc. The new Métropole has set high ambitions in terms of sustainable development, aiming to provide a good life style and a creative, innovative environment in which to develop activities focusing on new technologies, the environment and healthcare. The Métropole offers a truly multicultural environment. Each year, Nice is visited by some 10 million tourists from all over the world, while 120 000 foreign residents, representing 160 different nationalities, have chosen to make it their home. 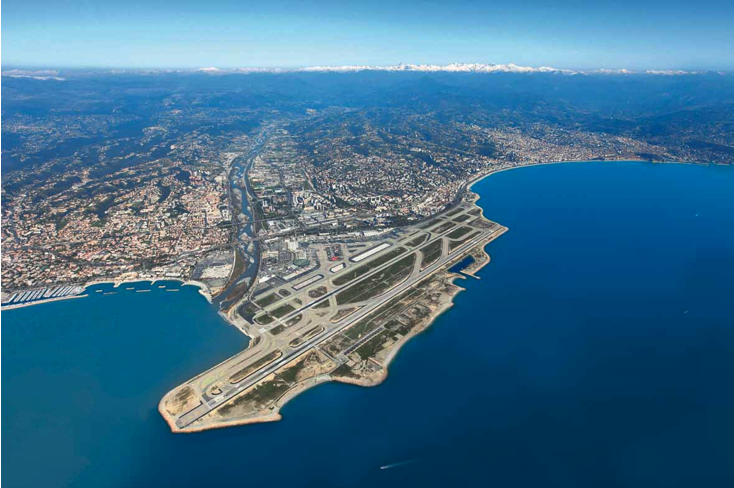 The Nice Côte d’Azur airport, France’s 2nd international airport, links the area to 100 direct destinations in 29 countries. Close by, Sophia Antipolis, Europe’s largest technology park, is renowned as an IT hotbed and a cradle for innovative projects. The Côte d’Azur is also home to 8 competitiveness clusters focusing on new technologies, the environment and healthcare. Stretched out between the sea and the mountain range, with 120 km of coastline and 40 km of beaches, the Côte d’Azur offers an extraordinary natural setting with 300 days of sun a year! To help reinforce these assets and protect the region’s fragile areas, the Métropole has decided to rethink its city planning and services on the basis of environmental exemplarity. Among its top priorities is to enhance wellbeing by combining all the elements for a good life style. Benefit from a real estate offer that is competitive (pricing) and attractive (quality and flexibility). Locate your company within a thriving metropolis, offering the best interconnections thanks to its multimodal transport hub and international airport. Take advantage of all the best of city living in terms of services, mobility, atmosphere… . Offer your employees an outstanding life style within an agreeable urban context. Have access to both historic and emerging markets such as urban projects, new services… . Gain a prestigious address, within a large scale project, renowned for its exemplarity. Join a network of top level industrial and scientific partners. Be involved in a long term development project, with full State support at all levels.